The coming days are going to be filled with lots of visiting and celebrating, and oh, the food! The glorious, delicious food!!! And today, today will be special, a quiet ritual for the return of the Sun, amongst other things… And the start of a lovely past year reflection that Beth posted about last year, based on the runes. I’ll be focusing on one pair of runes for each of the twelve nights. This year has been interesting, and honestly seems to have gone by in a flash as I remember what I was doing this time last year. However, if I really think on it, and remember each part of the year, it goes in its own time… not too fast, and not too slow. I have been very blessed with love and happiness, and success with my shop. I feel good about what’s to come in the new Gregorian year. 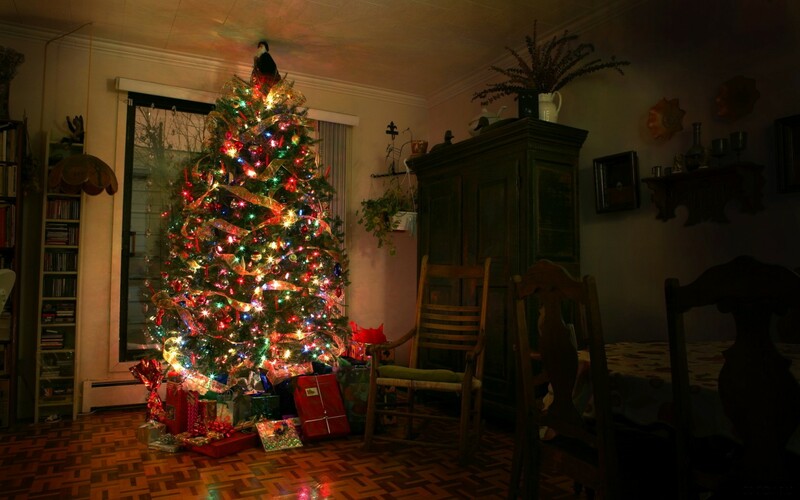 May your Yuletide season be blessed with love, joy, and merriment, dear gentle readers!! Well, I suppose there isn’t too much to talk about actually. I’ve been pretty busy with blending teas, filling out spreadsheets, using a cool app to do my accounting, and planning for Yule. Spiritually, it’s been quiet because so much focus is going into the teas. There’s been too much being tired to have enough energy to really hang out with my Gods other than asking Them for advice concerning tea. A fact which is not so happy, however, They are ever supportive. I have forgotten once again that vitamin D is such a help for me during the winter months (duh). It’s funny because this summer, my brain finally started working more normally again for the first time in a few years (especially in remembering things & focus). Well, I spent quite a bit of time outside… in the sun… yep. Thankfully I still have enough brain power for me to realize a few weeks ago that I definitely need the vitamin D for the dark months. I’m feeling better since I started taking them, still tired, but not in the brain department. No signs of SAD yet, though I didn’t have much last winter (to which I thank the very bright snow, and sunny weather that usually begins in January and runs through till the end of March, the occasional storm breaking it up). Anywho… There are plans for gingerbread cookies, Scottish shortbread, custard tarts, butter tarts… and the man and I (and whoever else wants some) got our Yule duck to nom on come Christmas day. 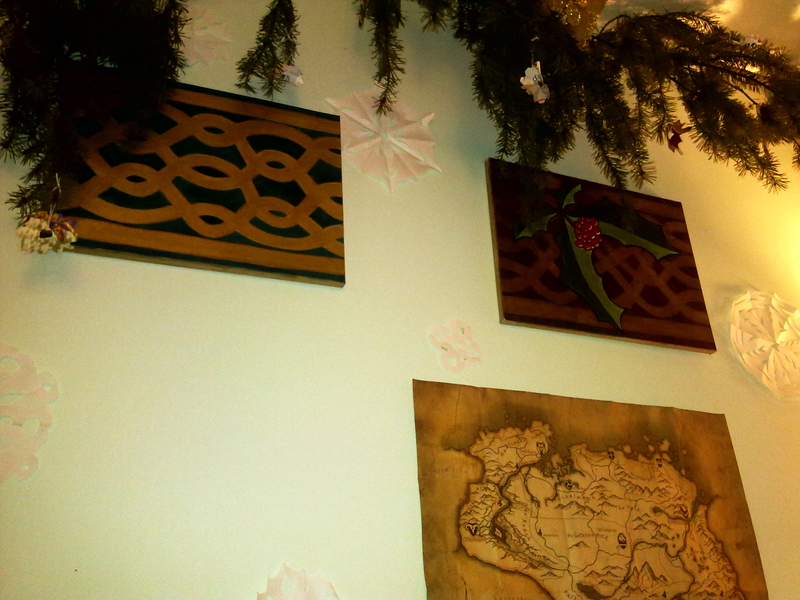 I have yet to decorate our side of the house, but perhaps tomorrow? I’m also excited to gift tea to my family and friends here, likely Butterbeer, Yule Father, and Mad Hatter’s Party Blend, unless I come up with a couple other blends before gifting commences! I am just feeling very content since I began to offer the teas in my shop. I’m always thinking of what kinds of blends I might work on next, and I adore that I can be inspired and guided by my and other Gods to create blends to share with Them. Honestly, I think that’s the best part of making teas. It is so satisfying to create things for Them, to work with Them on something delicious and something that provides such a lovely connection to Them. It is busy! But in a very happy way! I’m grateful for those who have bought my teas, I’m so excited to be making them, and excited to share things that are nom! I absolutely love tea, and making teas for my Gods and sharing with Them has been quite the experience. I can definitely say that the process has brought me closer to Them, made Them more tangible and present, as physical things are wont to do. And with tea, I ingest it, take it into myself, I share it with Them… it is an interesting and lovely experience, I must say! Which is why it makes me excited to be doing this, to have thought to offer the same experience to others with their Gods/Spirits. I’m just super happy to be doing this… if you couldn’t already tell! Now, the process of figuring out how best to ship has been an interesting journey, one I’ve hopefully figured out, at least for now and with the packaging I currently have for my teas. Also… let me say I hate that I can send something to the US for cheaper than within Canada. Ugh, I hate our Postal system. Thankfully I am able to send things quite cheaply here, but still. Makes no sense. Is anger making. I’m hoping this year after all the festivities are over, I’m not going to get sick three times in close succession afterwards… that was… not fun. Hopefully my system will be able to handle all the social interactions and sick people better! Fingers crossed! And lastly, a few weeks ago was time for a revelation in a dream. I haven’t shared about it because it had hit me right in the feels. I’m not going to go into much detail because I’m still processing this, as well as still figuring out what it means for me and my relationships with my Gods. Not to worry, I think it was a good thing to have seen, though not necessarily the happiest. Tears happened. I don’t often dream about my Gods, though I have of Baldr the most this past year; and this dream was so very impactful, showed the connections that go beyond this life I live. And there was so much love. And I can’t even express how awed and grateful I am to Him for the experience of it, for sharing it with me. It’s things like that that set me aright time and again, that let me know this is where I’m supposed to be. This tea, guys. THIS. TEA. This is a tea based version of a minty hot chocolate, and it is divine! I am actually having a hard time trying not to drink it, to be honest with you! I know I have other teas to make, and that requires drinking them, but this one just wants to be in my mouth. Black tea, candy cane, Belgian milk chocolate, and coconut make one delicious cup of tea. It truly tastes like a cup on hot chocolate, except you’re not going to be getting 1000 teaspoons of sugar in it. The chocolate and mint flavours also do not overwhelm the taste of tea which comes at the end of a sip. And where does the coconut fit into all this flavour? 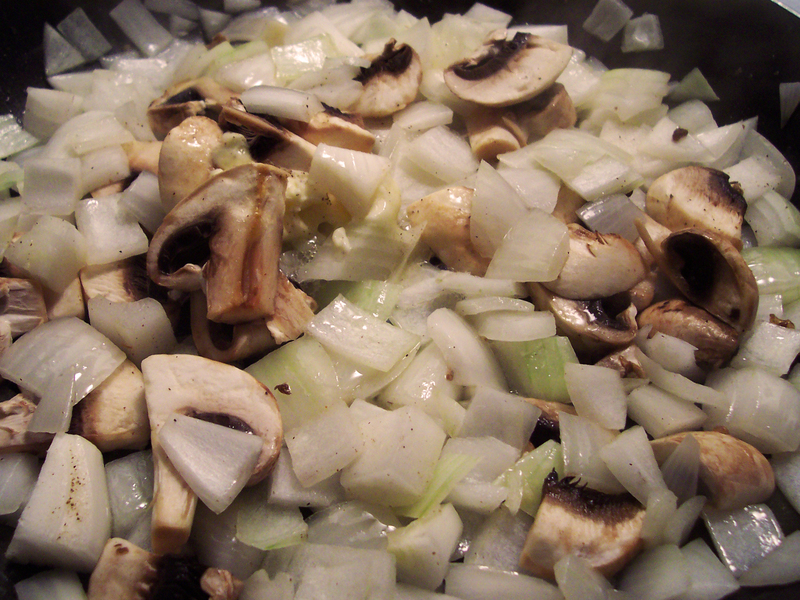 It provides a lovely, warm nutty flavour to round it all out. 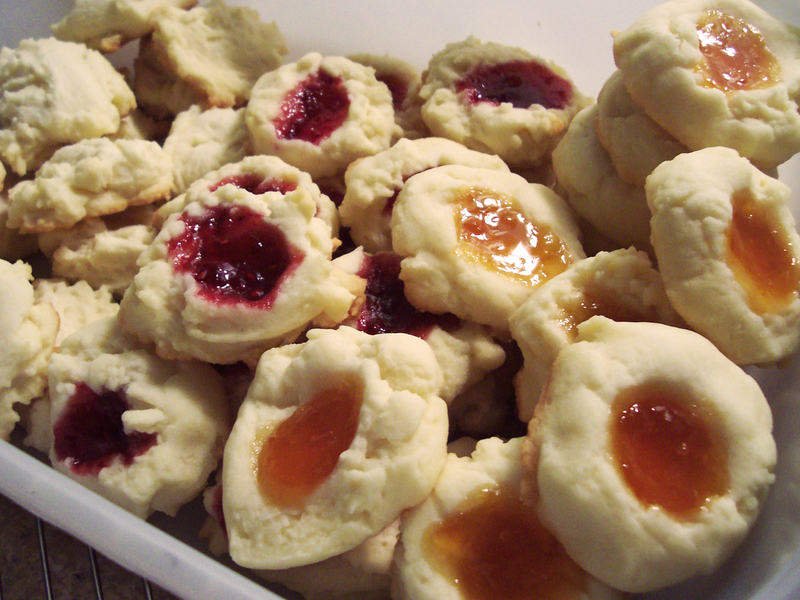 I’m planning on making a big batch of it for my household, as well as for gifting friends and family. It is definitely something I will be sipping on through the winter, and I won’t have to feel terrible about ingesting a ton of sugar either! 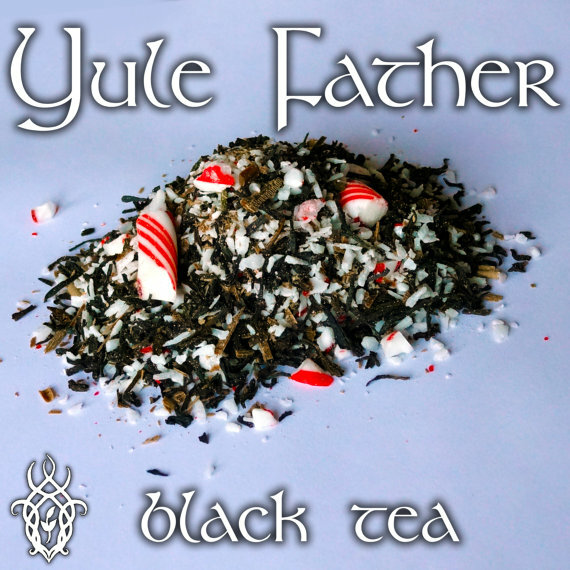 You can check out Yule Father tea, or have a gander at the other teas in my shop. It has been a busy month, and this past week and the next has been/will be pretty busy still. It has been really nice to have the Holidays with the family again!! We’ve already chatted about going to the East Coast to spend some time next Yule (well, Christmas for them) with my grandparents since they haven’t had their grandkids for the Holidays in three years (due to some selfish planning on my uncle in law’s part). Ah well, what’s family and the Holidays if there isn’t any family drama? Though I have to say this year has been pretty quiet on the drama front. Very happily quiet! It’s also been nice to be able to get gifts for people again (because shipping is expensive! ), and by getting, I mean making, since I still have one more thing to knit for our last Holiday meal and gifting next weekend. Just a toque, nothing major. And yet even with all the Yule knitting over after that, it seems like I have another 5 or 6 knitting things to do come January. I have already decided that next year’s knits will be started waaaaaaaaaaay early, like maybe even after I’m done the next few things I’m knitting. I wanted to give gifts to more people this year, but there was just not enough time in two months for it. Ah well, I have learned the lesson. And now for the magickal part of my life, which is actually pretty much the entirety of my life 😉 , the Yule season has been quite lovely. Each day I light the candles and incense at night, some for my Ancestors, some for my Gods, and some for the things I want more of to harvest this coming cycle. I had planned to do a lot more journeying each day to spend much needed time with my Gods, however, sleep has been eluding me enough along with the Holiday craziness wearing me out that I haven’t had enough energy to go off. I just fall asleep. Rest is quite important to keep your focus (I just read an article that people who only get around 6 hours a day have the cognitive and reactionary function of someone who’s blood alcohol level is 1.0), but I’ve been reassured there will be plenty of opportunity and time after the Yule season has ended. Tonight may possibly work out, but we shall see. I am excited for what’s to come, the learning to be had in the coming year, the relationships to be deepened, and all the things that will be growing. I hope you all are enjoying lovely Holidays, whatever they may be and however long they last. Much love and blessings. 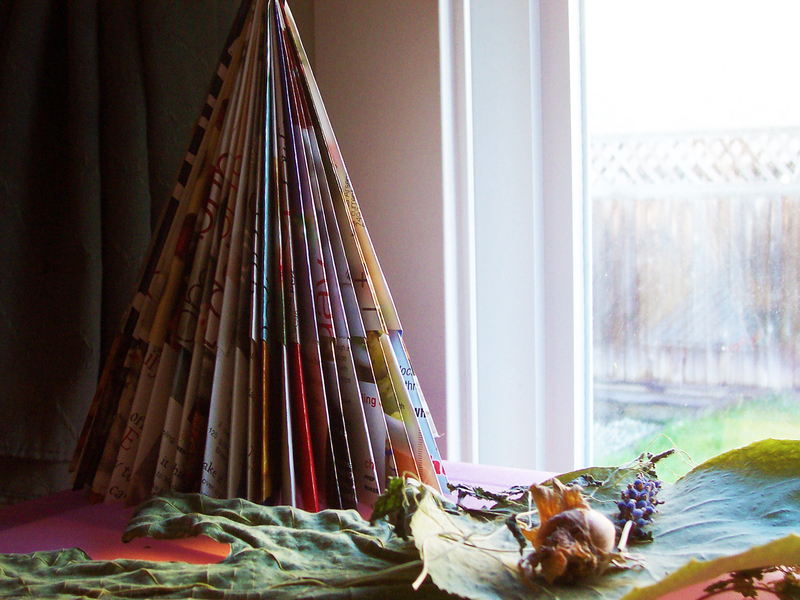 Happy Yule and Solstice tidings. 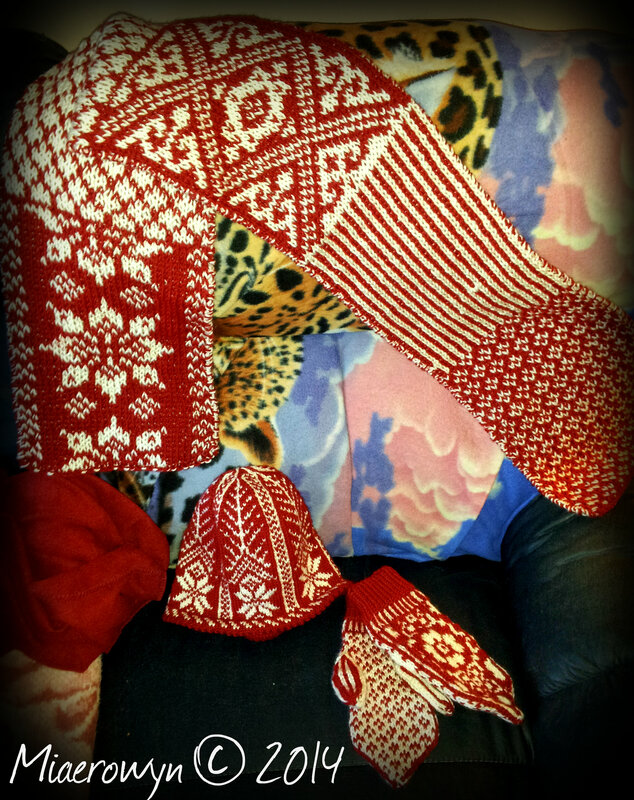 Norwegian style hat, mitts, and scarf I made for my MIL. The scarf is reversable. 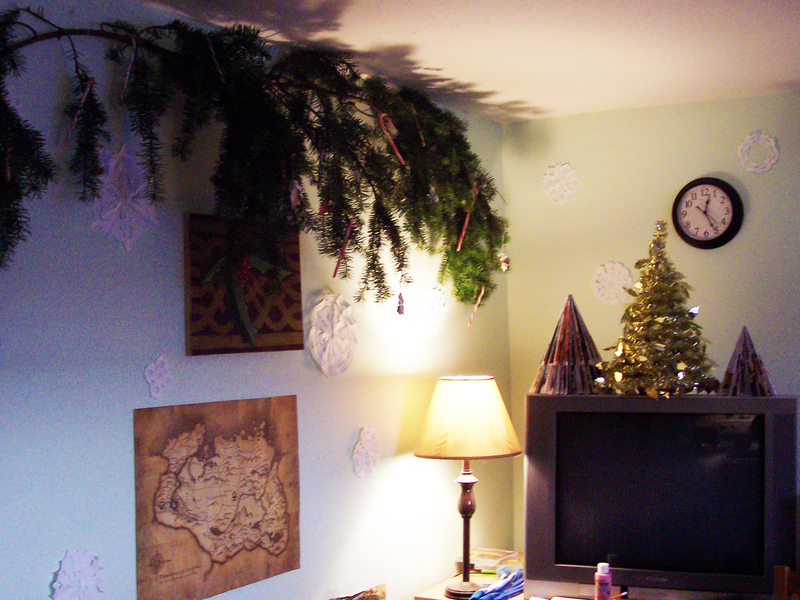 At least for me, since I’m spending so much time preparing for Yule. I’ve been knitting almost non-stop since December rolled in. In November it was lots of writing and knitting, now it’s knitting and thinking. I am definitely going to get back to writing when things have died down and my Yule gifts are finished as this story desperately wants to be put down on paper. DESPERATELY. I think on it often, seeing what needs to change in order to make things fit, but knowing that as I write it, I will not go back to edit until it is done. So this is a rather rambly post, please forgive me for that! I have been quite tired as of late. But I am excited for Yule, I have some things planned out this year for Mother’s Night, the Solstice, and then there’s the family Christmas dinner on the 26th, and New Year, and then another Christmas dinner with the Man’s family on the 3rd. 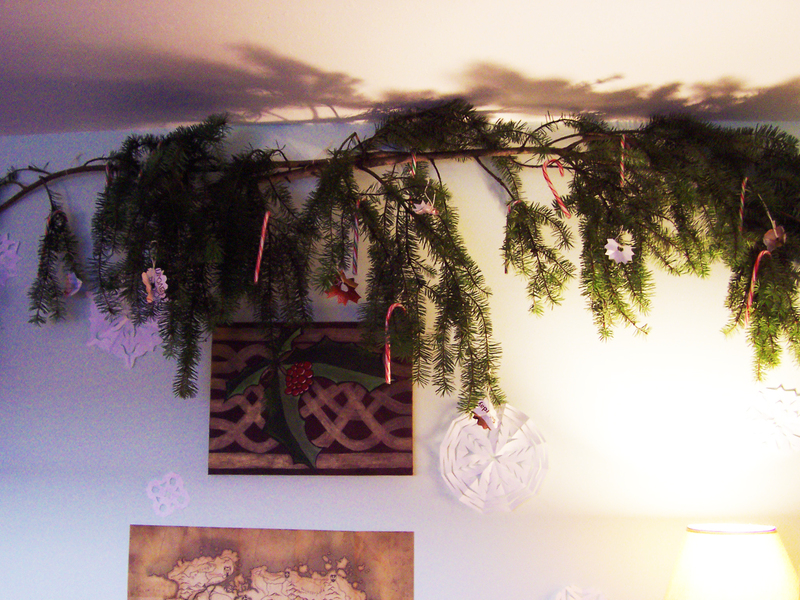 I am thinking there are daily things to be observed during the 12 days of Yule. Nothing super ostentatious, but I am happy for it nonetheless. I am also happy for our first Yule season back with family, though I am missing my Vancouver chosen family and think of them often lately. I suppose this is a catching you up with where I am at kind of post. Yep. There is also something that is on the horizon for the next year that I am excited, scared, but really delighted about in a few different ways, that could come to pass for me. You will know when it is time, for now, it’s for me to let happen in its own time, that is if it does happen. I’m so vague. Good Gods, I should have just stopped this post before I started. So as far as my Yuletide plans, there is some apple-cider jelly to be made, a gingerbread house and cookies, and some Scottish shortbread. Then I believe for New Year’s day, I will be making us some duck. Yum. I miss duck. But it truly is a treat. And right now, it’s knitting, mostly. So I shall get back to that and bid you à les dieux. Had such a lovely Christmas this morning! 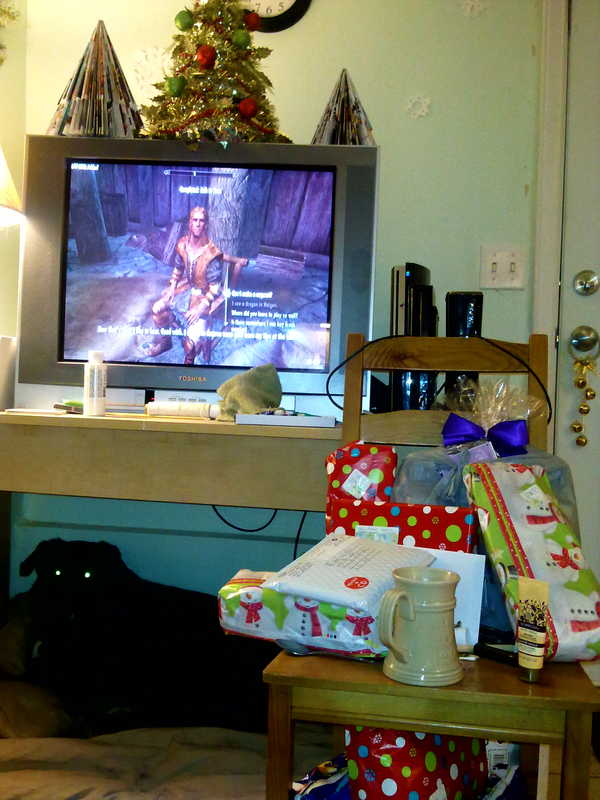 We had presents from my parents and my man’s family. It was so nice, as we couldn’t get out East this holiday. Also made a delicious feast today… turkey, potatoes, turnip, homemade stuffing, gravy cranberry sauce and a delicious pumpkin pie with dream whip. 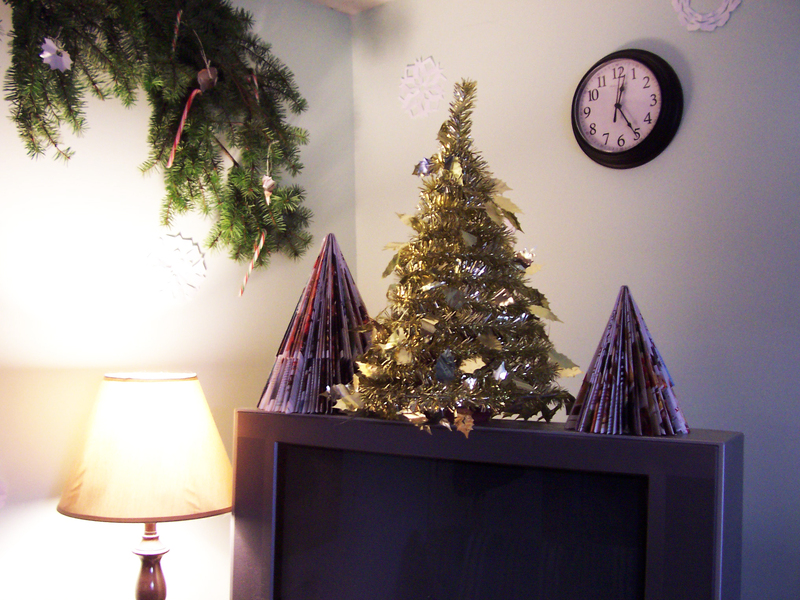 It’s simple, but incredibly comforting and recalls memories of Christmases past. Yule (and much of the Christmas traditions) is based on an old pagan Germanic holiday celebrated somewhere between late December and early January, depending upon the Germanic lunar calendar. The word “Yule” stems from Old Norse (Icelandic) “jól”, Gothic “fruma jiuleis”, Danish and Swedish “jul”, Norwegian “jul/jol”, and “ýlir”. This midwinter festival was called “midvinterblot”, “julblot”, “julofferfest”, and “jólablót”. 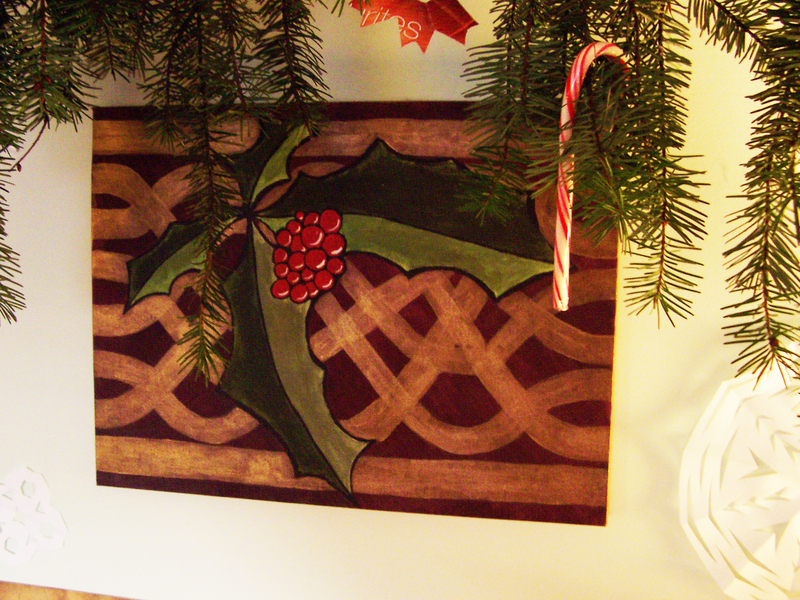 In pre-Christian tradition, the Germanic peoples would celebrate Yule for a fertile and peaceful season. It was a festival of feasting, drinking ale and sacrifice. Animals would besacrificed, the blood collected then smeared on the bases of idols in the temple, sprinkled over the walls and the people with sprigs dipped into the blood and shook to release the blood (basically, sprinkled by an aspergil/asperger). The meat of the sacrifices would be boiled to be feasted upon, after the king would bless it. Toasts were to be made, firstly, to Odin (one of whom’s many names is “Jólnir”, which means “Yule-figure”) for victory and power to the king, then to Njördr and Freyr for abundant harvests and peace, then a third to the king. Additional toasts would be made to the dead, which are called “minni” (memorial-toast). They would enjoy a Yule boar, a Yule lamb, making merry. You can see where our modern day customs of roasting a ham, the Yule log, singing, drinking and just having a lovely time stem from many of the old Germanic Yule practices. In Roman practices, Saturnalia was held on the 17th of December in honour of, you guessed it, Saturn! Later, the festivities were held through to the 23rd of the month. The festival celebrated what was perceived as a golden age that came before, when humans could enjoy an abundant earth without having to do the labour whilst in a state of social egalitarianism. The celebrations would begin with a sacrifice in the Temple of Saturn followed by a banquet. There would be much gift giving (not flashy things to show one’s status, but pottery and waxen figures as giving flashy gifts went against the spirit of the festival) , and a very Carnival like atmosphere ensued. It was also a celebration that allowed for things to become a little topsy-turvy with masters serving their slaves and gambling permitted (very much the precursor to the Feast of Fools celebrated in Medieval times). Saturnalia was also a festival of light, which represents knowledge and truth, represented by many lit candles, according to Macrobius’ Saturnalia. In modern witchy traditions, like Wicca, we celebrate the rebirth of the Sun God, the Divine Child. The Sun begins its ascent into the sky. We enjoy the longest night of the year, and the hope of the light returning. Watching the sunrise on this day can be a beautiful way to usher in the Sun for the light half of the year, and hey! You don’t even have to get up ridiculously early (especially the more Northerly you are) because the Sun rises so much later! Gatherings of local pagan groups make for a night of beautiful ritual, feasting, celebration and gift giving. May you all be blessed this Yule with friends, family, food and much merry making!